Are you in a kitchen rut? Here in Connecticut, it’s common to have a messy or outdated kitchen. But if you entertain or often cook, you want your kitchen to be organized, spacious, functional and beautiful to suit your tastes. The designers at California Closets have put together several ways to spice up your kitchen and organize your home, whether you live in Westchester County, New York, Westport, Weston, Darien, Fairfield, Trumbull, Ridgefield, Monroe, Shelton, Wilton or New Canaan. Before you can add flair, you need to get your kitchen in order. A custom pantry system requires organization through excellent functional design. Shelving, drawers and baskets combine to accommodate specific needs and uses, ensuring accessibility and order in a space where items are continually removed and replaced. Chef Pantry: Functional and spacious, it provides superior organization needed to prep and prepare meals. 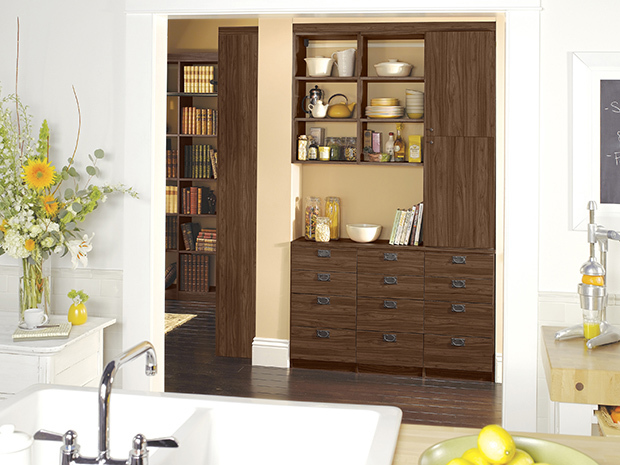 Bistro Pantry: This rich, elegant design provides refined organization – perfect for your morning espresso. Farmers Market Pantry: This simple, straightforward storage solution includes adjustable shelves in a clean, white palette. Retro Pantry: For the creative at heart, this pantry is reminiscent of a classic butler’s pantry, equipped with a smart storage system with cooking essentials just off the kitchen. Toronto Pantry: Warm and modern, this kitchen is perfect for entertaining. 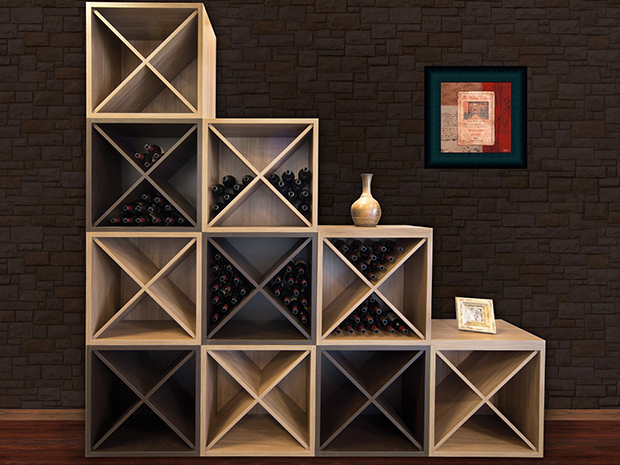 Wine, ceramics, cookbooks and more are easily stored in this design. Hostess Pantry: Ideal for storing necessities, hosting a buffet and displaying desserts, this multifunctional space also encourages entertaining. To take organization and function a step further, adding in accessories makes it easy to find everything in your kitchen. Don’t let your kitchen stay in a rut – get it organized and beautiful once again with the help of California Closets Connecticut. Call today to schedule your free expert design consultation that’s conducted in-house, or visit our West Hartford showroom to explore all of your options. Featured on Houzz, California Closets has been the leader in closet and storage design for nearly four decades. Stop by our Norwalk showroom and get started on transforming your kitchen today.